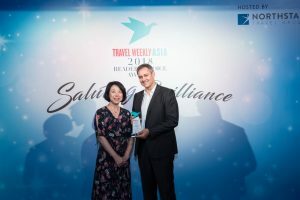 HRS, the leading Global Hotel Solutions provider, was named “Best Travel Management Solutions Provider” for the third consecutive year by Travel Weekly Asia, the region’s leading travel trade publication. Travel Weekly Asia honored HRS on October 15 at the annual Readers Choice Awards gala in Singapore. And on October 30, at the Ceremony of China Travel & Meetings Industry Awards in Shanghai, Travel Weekly China honored HRS as the “Intelligent Business Hotel Management Platform of the Year.” Editors noted HRS’ ongoing innovation and predictive analytics for managed hotel programmes in China when presenting the award to Evy Zhao, HRS’ Director of Corporate Solutions in Greater China. HRS has registered tremendous growth across the Asia-Pacific region, doubling its business every year since 2015. In the past two years, HRS expanded with three new offices in India and its first Korean location in Seoul. In China, where HRS has extensive roots (first office opened in 2002), the company now has three offices. HRS has more than 250 employees in the region, helping regional and global corporations secure competitive rates at business-grade hotels. The company’s innovations play a vital role in its regional and global growth. In August, HRS unveiled the Hotel Rate Filter, industry-first technology that helps ensure corporate travellers book the rates negotiated for their respective programmes. Powered by Artificial Intelligence and leveraging machine learning, the Rate Filter prevents incorrect hotel rates from getting into shopping platforms. The Rate Filter builds upon HRS’ proprietary, proven hotel sourcing technology and processes, digitizing travel data and driving end-to-end savings for corporations. The Readers’ Choice Awards and China Travel & Meetings Industry Awards are given to outstanding accommodation, transportation, venue, service and technology providers in their respective categories each year. 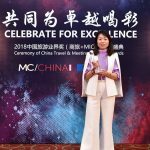 Winners are voted on by readers of both Travel Weekly Asia and M&C China, which consists of travel industry professionals.